I mentioned recently that we were getting a new arrival at Billingley Christmas Tree Farm in the shape of a new Reindeer. 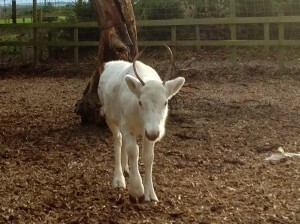 Only this reindeer is a bit special as he is almost pure white and he was only born this Spring. He currently has no name and after much discussion in our household and many suggestions from our children – most of which seem to revolve around characters from Frozen! 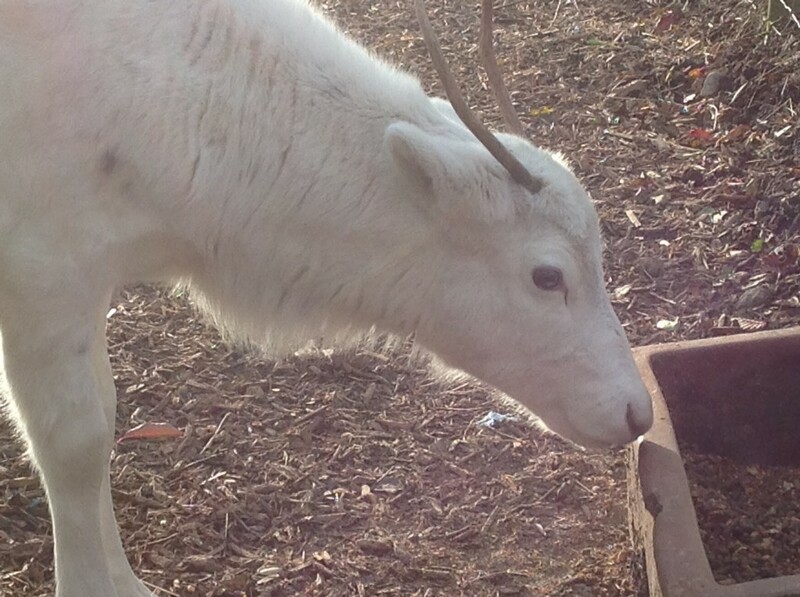 – we have decided to ask for you help in finding the perfect name for this handsome little guy. Please post your suggestions and like and share our Facebook page, or follow us on Twitter. The winning entry will not only have the privilege of naming the Reindeer, but will also win a free tree (up to 6ft) for this coming season. Cones or no cones? That is the question.